It’s the quintessential American concept: Start a business from a simple idea, and then watch it explode into a multimillion-dollar corporation. Of course, most people who decide to become entrepreneurs have a plan. A little money, perhaps. And maybe some contacts. The Zieglers knew it wouldn’t be possible to travel the globe with the paltry salaries that they made working for the San Francisco Chronicle, so they decided to start a business. They just had no idea what it would be. 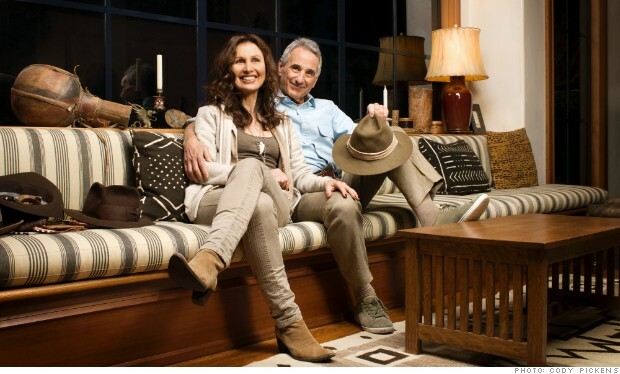 When Mel came back from assignment in Australia wearing a safari jacket that he’d bought for $5, it dawned on them—with no fashion or business experience between them, mind you—they’d start a clothing store. 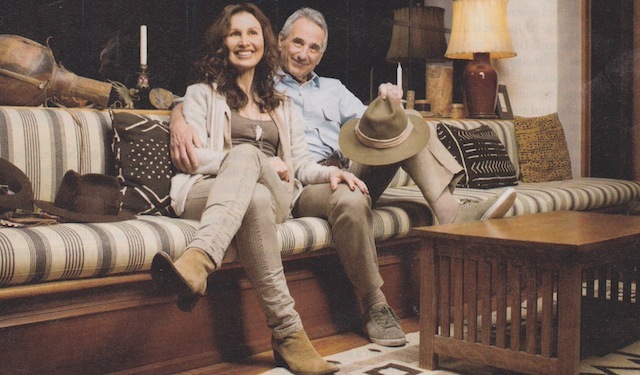 The couple’s journey to success is documented in their new book, “Wild Company: The Untold Story of Banana Republic.” LearnVest sat down with Patricia to find out more about the duo’s unconventional business tale. LearnVest: You were a courtroom illustrator and Mel was a newspaper reporter. What made you think that you could make and sell clothing? Patricia Ziegler: We were young and having fun, and we kind of felt like we had nothing to lose. Well, except the $1,500 we had in savings between us! Also, it was the late ’70s—not a great time for fashion. Everything was polyester and disco shiny. We were craving clothing with character. So you decided to make that clothing yourself, based on Mel’s safari jacket. Exactly. We went to a surplus store in town and spent most of our savings on these paratrooper shirts that were $1.75 a piece. We figured that I could sew a few elbow patches on them, switch out the buttons and then sell them at a higher price at a flea market. We just about sold out. It was our first big business lesson about the importance of presentation and perceived value, based on price. [Laughs.] We decided to set up a store. With no business experience to speak of, right? We really were just learning as we went along. Mel found a real hole in the wall for $200 a month, and then we figured that we should probably get a business loan so we could buy more surplus to stock the store. When we went to the bank, the loan officer said that we didn’t have any of the 3 C’s needed to get a loan—capital, credit history or collateral. But he said that we had character! And then he told us that some stores offer a 30-days-to-pay option, so that’s how we stocked our shop in the beginning. We figured that we could sell the merchandise in 30 days in order to pay the surplus stores what we owed them. So what were some of your biggest lessons? Go with what you’ve got. It’s an old journalism adage—when you have a deadline, but you don’t have everything you need for the story, you just have to go with what you’ve got. We didn’t have money, but we had imagination. We didn’t have fabric, but we had surplus, so we went with what we had. We also firmly believe in the idea that you never give up. Refuse to fail. That’s how we operate. Any advice for other couples who are thinking about going into business together? When things started taking off, we had some issues stemming from lack of sleep. But, overall, we work really well together because we completely trust each other’s judgment. Mel would never question my decisions—even the time in the beginning, when I spent a lot of money on 3,000 big, baggy shorts. He looked at them and thought, well, if she believes in them, let’s go with it. And when he wanted to rent a warehouse—even though I had no idea how we were going to pay for it—it was like, I know he understands that, so just go for it. One hundred percent trust and faith in each other gives you that extra dimension of strength. After all this time working together, we don’t know what people have to talk about if they don’t work together! We love talking about our book because we want to inspire young people and let them know that it doesn’t matter what you don’t have. You have yourself and your imagination, so just go for it. We’re also working on a new food-product business that will launch sometime this summer. It’s fun! We thrive on possibility.